Assumption Home began in 1963 by a group of women in the auxiliary at St. Boniface Catholic Church. 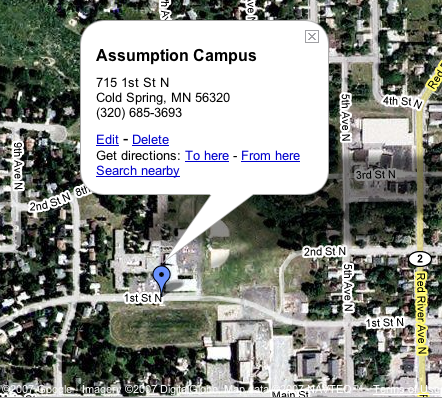 Today, known as Assumption Campus, the facility includes John Paul Apartments, Assumption Court and Assumption Home. Assumption believes in resident centered care. The goal is to meet the needs of seniors as they age and as their personal needs evolve. Assumption provides holistic care where nurses establish a one on one relationship with residents and a family approach. From fun activities to delicious meals, Assumption Campus is a place where people enjoy their later years of life and have the amount of professional care that matches their individual needs.